Telecommunications giant Sprint has announced the launch of its Wireless Emergency Alerts program that will deliver messages from the federal government directly to millions of Americans as part of a system set to become mandatory on all new cellphones. “Wireless Emergency Alerts allow the Federal Emergency Management Agency (FEMA) to accept and deliver warning messages to wireless networks from the president of the United States, the National Weather Service and state and local emergency operations centers. Sprint customers will be able to effectively and accurately receive warnings and safety information via text alerts to mobile phones that are equipped with the enabling software and based on their geographic location,” states the press release. Although existing mobile handsets can only receive the messages if their users have opted-in to the scheme, all new models will be designed so as to force Americans to receive the messages whether they want to or not. 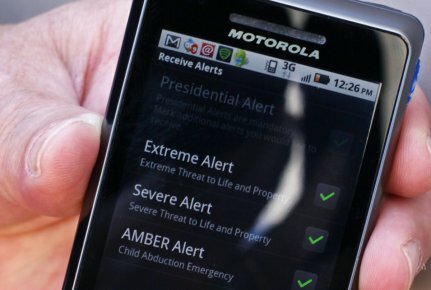 The federal government is keen to implement a centralized system of control over all communications, with the recent announcement that all new cell phones will be required to comply with the PLAN program (Personal Localized Alerting Network), which will broadcast emergency alert messages directly to Americans’ cell phones using a special chip embedded in the receiver. The system will be operational by the end of the year in New York and Washington, with the rest of the country set to follow in 2012. Assurances that the system will be “voluntary” for wireless carriers are completely meaningless given the fact that all the big boys, AT&T, Sprint, T-Mobile and Verizon, have already indicated they will participate. 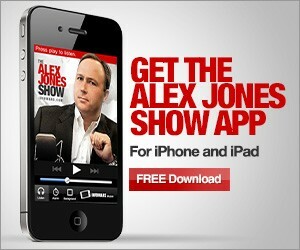 Customers will have no choice whether to opt-in or not, they will automatically be signed up by their carrier. “Consumers will have the option….to block all PLAN alerts except for those issued by the president,” reports the L.A. Times. In other words, for the first time ever the feds will have a direct line to the millions of Americans who use cell phones and be able to use the messages to transmit whatever they like, whether that be genuine safety information, fearmongering about spurious terror alerts, or political propaganda. The “special chip” that the government will use to reach Americans is already present in high-end phones like the latest iPhone. As we reported last week, concerns about the public’s reaction to a national broadcast test of the Emergency Alert System prompted the test to be shortened from an initial 3 and a half minutes to just 30 seconds. Before the end of the year, Sprint plans to team up with the New York City Office of Emergency Management, the Department of Homeland Security’s Science and Technology Directorate, and FEMA to conduct a test of the new mobile alert system. “The test will deliver a series of different geo-targeted wireless alerts to multiple Sprint mobile phones strategically located in Brooklyn, The Bronx, Manhattan, Queens and Staten Island,” according to the press release. The PLAN program is part of the wider move on behalf of Homeland Security to create a public environment dominated by a pervasive sense of fear and paranoia, a context in which the safe exercise of constitutional freedoms doesn’t normally thrive. As we have documented, not only is Big Sis already telling Americans to report on each other via Orwellian Wal-Mart telescreens, but new street lights now being installed in major cities have the ability not only to record people’s conversations but also to display emergency “alerts” issued by the federal government.